London-based Patagonia Gold (LON:PGD) (TSX:PAT), a South America-focused gold and silver miner, announced Monday it produced its first doré gold bar from its Lomada de Leiva project in the province of Santa Cruz in Argentina. The gold room facility at its La Bajada property has been successfully commissioned and gold production has commenced, said the mining company. Patagonia added that a total of 1,040 kg of loaded carbon from the Lomada Heap leach trial with a grade of 16,800 grams/tonne (g/t) gold was successfully eluted, using the recently completed elution plant, before electro-winning and smelting. A doré bar of 23.022 kg has been produced with final gold payable content to be established upon assay and refining by Johnson Matthey, Canada. 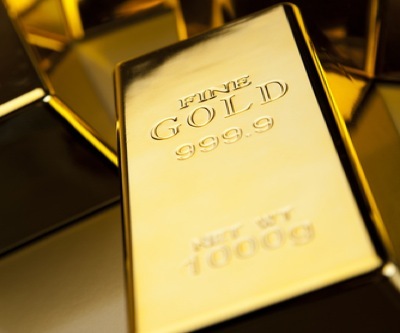 "With our first gold pour, Patagonia Gold has now advanced from explorer to producer and is well positioned to capitalise on the high prevailing gold price,” said Chief executive Bill Humphries. Last week the company received the full and final permit from the Argentine authorities to develop Lomada de Leiva. Full production from the main heap leach is expected by the second quarter of 2013, with a forecast production of 14,000 ounces gold for the second half of the year. Target annual production from the Lomada project is scheduled at 21,000 ounces gold. The Lomada heap leach is one of Patagonia's three main projects. Its flagship is the Cap-Oeste project and the other one is the nearby COSE (Cap-Oeste Southeast).